The HEADING SYSTEM in your Learjet depends on an old gyro designed in the early 60's for the Lear-23. Unreliable and difficult to repair, these tired gyros contain components that have not been made for 30 years. Even late model 31s and 35s depend on this 40 year old design. 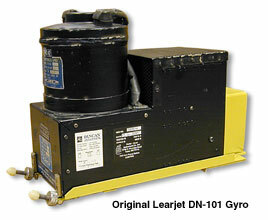 The DN-101 gyro was designed to be incompatible with industry standard gyros, so replacements were not available. Learjet operators were forced to rebuild and repair these old gyros over and over again. Finally a modern plug-in replacement is available. The Insight Gyro 4000 is based on the best heading system in the industry, the Sperry/Honeywell C-14A. The C-14A rotors are equipped with long life bearings rated for 10,000 hours. Combining the C-14A with special interface circuitry in a compatible package, the Gyro 4000 is a plug-in replacement for the old JET DN-101 or DN-104. STC'd for Learjet: 23, 24, 25, 28, 29, 31, 35 and 55 DN-101,104 equipped Learjets as a direct replacement. 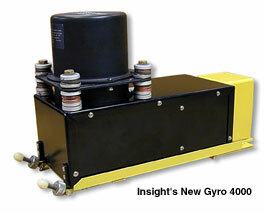 Gyro 4000 with rebuilt Sperry/Honeywell gyro and exchange of DN-101 or DN-104 - Call for price. Gyro 4000 with rebuilt Sperry/Honeywell gyro with no exchange - Call for price. The solution for your Learjet gyro problem is only a phone call away.